February 10, 2019 – LA Kelley Communications, Inc.
Piti, piti, wazo fe nich li. Little by little the bird builds its nest —Haitian saying. I’ve either done a very poor job or a very good job trying to get hemophilia care to Haiti. 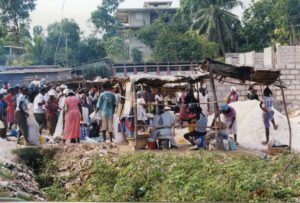 I started in 2001, solo, trying to figure out the puzzle that is Haiti. It dawned on me in 1996, when I attended my first world congress in Ireland, that very few people from Africa or African descent were in attendance. And from that point on, I made sub-Sahara Africa and Haiti (the first free black nation!) a personal mission. I was able to help start hemophilia societies in Ghana, Tanzania, Zambia, Uganda, and now Rwanda. I was the only one visiting Zimbabwe over a 12-year stretch. I was the first in the global community to visit Kenya, which had a society technically in 2001, but not very active. All of these national organizations, with the exception of Rwanda, which is still forming, are doing well. Kenya is doing great, in particular! I merely was a catalyst and instigator. The families and patients in the countries, and their physicians, deserve all the praise for their dedication. But Haiti. It sits a mere 90 minutes off our coast. No one from Haiti with hemophilia and no physician from there has attended a world congress. So many have died; one I know from a tooth extraction. The only factor they get is what we have been sending through Project SHARE. We know now about 11 patients, and we have the only Haitian patient registry—not the Haitians. There is no treatment center, no one trained in hemophilia, in short, nothing. 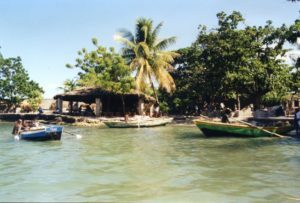 Haiti is the poorest country in the western hemisphere, with an estimated population of over 10 million, of which 60% live below the poverty line. It has one of the worst life expectancies in the world (At my age, I’d be considered almost ready to die) It suffered a devastating earthquake in January 2010, which collapsed the country’s health care system. 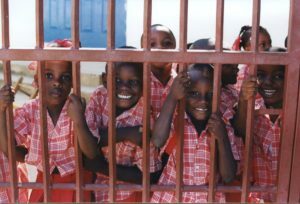 A World Bank report in 2017 noted that the annual per capita public health spending in Haiti is $13, compared with $781 in Cuba and $180 in the Dominican Republic. Infectious disease is a high risk; in October 2010, the UN peacekeepers improperly disposed if human waste into Haiti’s main river system and caused a massive cholera outbreak. Cholera was new to Haiti, and over 10,000 died from it! There has never been a national hemophilia program in Haiti. So my aim these many years has been to start the first national hemophilia program in Haiti’s history. What I needed was a hospital willing to be the center, the hub of everything hemophilia. And above all, the center to which we should ship our donated factor. Right now we are shipping to one child in an orphanage over in the west, then to another boy in the capital, Port-au-Prince, then to another boy in the northeast. Crazy! The requests have come in over the years from various healthcare workers who have been to Haiti, and found a child they think has hemophilia. We help get them tested and then send medicine. The impetus started many years ago, probably about 2000, when a pastor from Haiti was visiting in the Midwest and asked for factor for two boys he knew. He contacted one of our NHF chapters, I forget which one by now, and they redirected him to me. I was torn because I had factor but just couldn’t give it to a stranger, without a physician’s oversight and approval. So the pastor went back to Haiti empty-handed. About a year later he returned, with the same request. Again I had to turn him down, but asked if I could come to Haiti to check it out, meet the boys and their doctor, to verify it. He put me in touch with the Christianville Mission group, and they invited me on their next mission trip. When I told the wife of the leader of the mission I had to see first if I could get corporate sponsorship for the trip, she immediately replied, “Maybe God wants you to pay for it yourself.” That resonated loudly. I put my own money down and before I knew it, I was going to Haiti. That was a life-changing trip, and I had been to a few countries by then. Going to Haiti was a bit like going back in time. Unlike almost any other country, Haiti is so isolated. 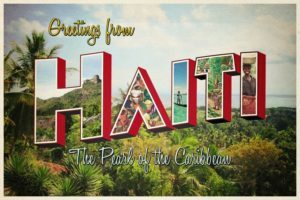 Surrounded by Spanish-speaking and English-speaking countries, Haitians speak Creole, and French. The are hard-working people, and long suffering. The island has been battered by hurricanes and earthquakes, and corrupt politicians. I met the boys, and their father, who were all impressive. The father was director of a 120-employee mission compound, with 1,200 school children. He spoke English, Spanish, Creole and French! His teen boys had hemophilia, and we provided the factor. We had a great visit and I had hoped he would spearhead our efforts to start a hemophilia program, but in the following years, he emigrated to the US, to give his children a better future. And they are doing great now. I am now friends with one of the boys, now a man, on Facebook! So I return again… this road to Haiti hemophilia care could be a book. I have four pages of contacts of people through the years who have helped, tried to help and who have left a legacy. I have voluminous notes and stories, and photos. This trip today is the culmination of all their efforts, all of our efforts. And this time, we will succeed!